Trireme, Caravel, Drakkar, Junk. Set Sailing Ships Floating Sea.. Royalty Free Cliparts, Vectors, And Stock Illustration. Image 73888524. 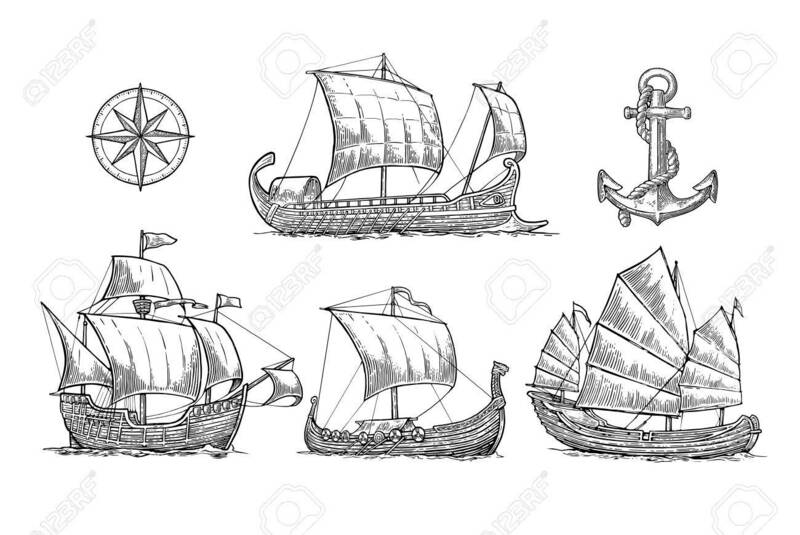 Vector - Trireme, caravel, drakkar, junk. Set sailing ships floating sea waves.